While this trend was popular throughout 2016, the tanning ledge is likely to stick around for some time. All part of the movement to create a sanctuary at home, tanning ledges are aimed at creating a dedicated space to relax poolside, providing a shallow area for relaxing on lounge chairs. While the swimming pools of yesteryear had steps, a deep end and a shallow end, the swimming pool designs of today are incorporating different features to create a more innovative swimming experience. Infinity edges remain popular however it’s the 360-degree knife edged pools that is topping the swimming pool design trend list. While infinity edged swimming pools have just one edge cascading to create the infinity effect, the 360-degree knife edged pools have all edges cascading to create a smooth crystal clear surface. 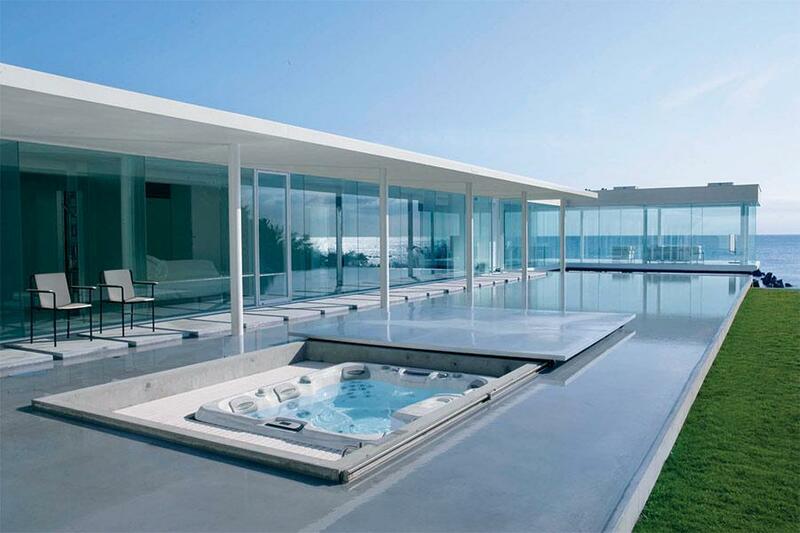 Acrylic viewing panels into pools are also becoming a popular feature for elevated pools. Where choices were once limited to chlorine or salt water filtration systems, now pool owners are looking for a more eco-friendly solution. Blue Haven’s Enviro Smart Swimming Pool uses less water, has lower power running costs and reduces greenhouse carbon emissions by up to 80 per cent. The state of the art swimming pool technology also reduces water wastage by 12,000 litres each year. Using 90 per cent less chemicals than other pools, the new Enviro Smart Mineral Pool System is healthier to swim in and comes with a range of benefits for both mind and body. The use of minerals instead of chlorine and salt not only ensures a nourishing and relaxing swim, but also increases circulation, reduces stress and anxiety, and is safe for allergy sufferers. While the swimming pool was once placed in the back corner of the yard, these days they tend to be the main feature. New streamline designs allow for the swimming pool to be incorporated with an outdoor room and entertaining area, ensuring homeowners get the most out of their pool year-round. Technological advances in swimming pool automation means that swimming pool owners barely have to lift a finger. The latest trend is to have the swimming pool control system connected to home automation where everything can be operated from a tablet or smart phone. A touch of a button then controls the pool pumps, vacuum, lights, water jets, water features and surrounding lights. Automation can easily be installed on existing swimming pool equipment.